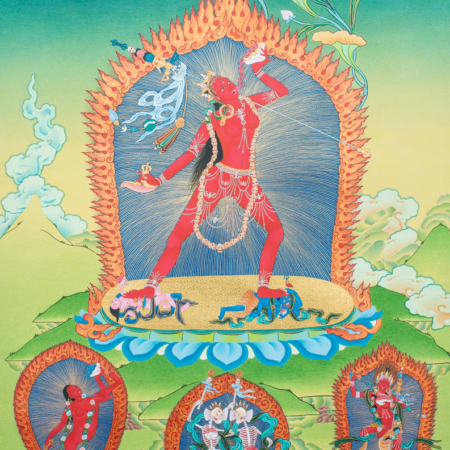 Here we have Vajrayogini represented in three different forms. Naropa Vajrayogini, Indrabhuti Vajrayogini and Maitripa Vajrayogini. 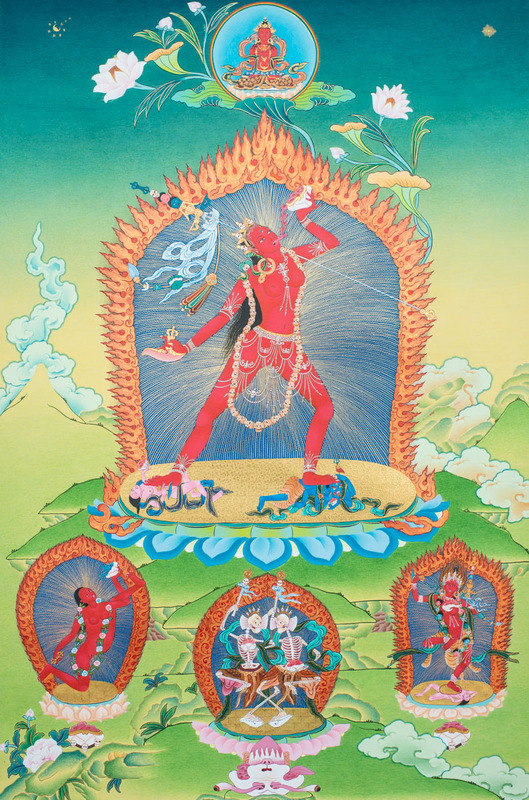 In the center below is her main protector, Cittipati.